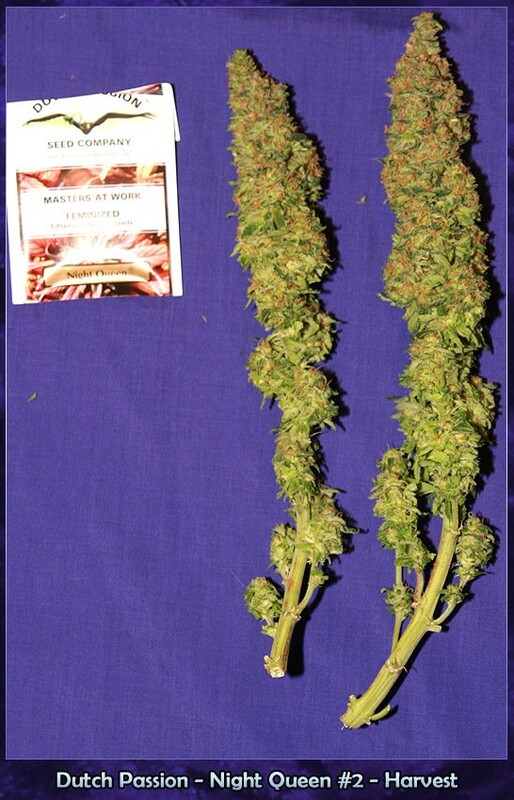 Reliable-Seeds | Buy Marijuana Seeds Online - Dutch Passion - Night Queen. Night Queen was one of Dutch Passion’s original 1980’s customer favourites. She is a particularly potent variety that Dutch Passion bred to combine good yields, ease-of-grow and a heavy indica stone. Finding your own ‘personal favourite’ variety can often take years of growing. Some growers prefer the more uplifting and energetic high associated with the sativa varieties. Others prefer the deeper, rich body-stone which comes from the better quality indica varieties. If you are one of the recreational or medical growers that prefer the satisfying effects of a strong indica then Night Queen is a proven photoperiod variety which should really be in your seed collection. Night Queen was a 1980’s development from original Afghani parents. The concept behind this variety was an uncompromising indica bred from pure native genetics. Night Queen was never hybridised, she remains a faithful 1980’s classic. A tribute to those that love to be get very stoned! Anyone that has enjoyed our other famous Afghani, Mazar, will love the flavours, aroma and heavy stone of Night Queen. This weeks grow diary comes from ‘Serpent’ who grew 3 Night Queen’s under a 250w HPS in 7.5 litre containers of compost. The original grow diary is here on the UK420 growers forum. Serpent grew the Night Queen seedlings under veg conditions (18 hours of daily light) whilst he grew our StarRyder auto. We often see growers combine the use of auto’s and traditional photoperiod varieties to maximise the productivity of their growroom. Once the StarRyders were ready for harvest Serpent switched the lighting conditions to 12/12 and started flowering the Night Queens. This technique allows the smart home-grower to maximize the yields from their indoor garden, producing an initial harvest from auto’s followed around 9 weeks later by a harvest of the photoperiod plants. “Simply put, a kick arse smoke, like the StarRyder she’s incredibly smooth and I mean that, very little throat irritation both in a spliff (with tobacco) and vaped with a very moreish, slightly fruity taste. Congratulations to Serpent on a top-quality double harvest of StarRyder followed by Night Queen. Both varieties have become very popular with our customers since they were introduced, and both varieties come with our own recommendations. We get good feedback on Night Queen from recreational smokers that simply want a heavy couch-lock stone with an old-school feel. If you missed it here is a previous review of Night Queen by Organic Jim. We also get good Night Queen feedback from medical growers that want a variety with a genuinely heavy body-stone. If you are looking for some quality indica genetics then they don’t get much better than Night Queen.